A man named Shittu Adamu who hails from Zakshi village in Toro Local Government Area was accused of allegedly killing his nine month old son has been sentenced to six years in imprisonment. Counsel to the state Ministry of Justice, Barrister Sha’awanatu Yusuf, had earlier told the court that on June 6, 2013, the suspect poisoned his nine-month-old son by giving him a dangerous chemical. She said the suspect’s action amounts to culpable homicide, punishable by death according to Section 221 of the Penal Code. 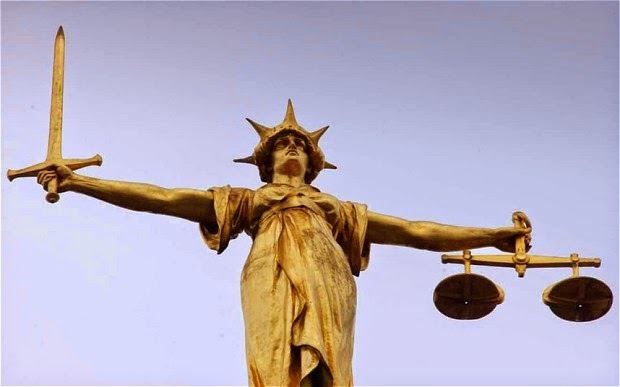 The police investigator, Sergeant Caiphas Adamu, told the court that the accused, who is a father of two, confessed to the crime during investigation. “He told the police that his nine-month-old boy was ill and that his wife who was four-months pregnant at that time took the baby to the hospital. The wife of the accused, Lantana Shitu told the court that on the day her husband killed their child, she went to fetch water, when she returned, her son was vomiting, then died few minutes later. Na only mumu fit tik like dat, and 6 years is really small fr d crime,bt cud it b confusion dt drove him into tiking dt chemical cud heal his child?